OMGYOUGUYS. After a skim of some of last November's MyBloWriMo content*, I have reached the conclusion that my writing has not matured at all in a year's time. 'Consistent' is not a characteristic I can usually self-ascribe, so I'm feeling mighty pleased about this. As pleased as this kitty was about being taken for a walk. Today I have learned something new. Apparently there is a thing here - I like how it's taken me eight years to hear of this, I'm nothing if not observant - called "The Christmas Sandwich". According to a Very-British group chat I'm in, it can best be described as 'Christmas dinner in bread,' and is found by looking for 'any limited edition sandwich in a green, red and gold box around this time of year.' Some discussion then ensued about what and who makes a good Christmas Sandwich. There were some hotly contested leeks v cranberries in the conversation, followed by a round of applause for Pret and their vegetarian options. It all got very exciting for a good half hour. Apparently if there's one thing the Brits take seriously, it's seasonal cuisine. So I took it upon myself this afternoon - with the guidance of my Very-British Foodie Friend Hannah - to get my first ever Christmas Sandwich. We went to M&S Food Hall - one of my favourite places in this fine country - and spent some time picking out just the right introductory product. And here we have it, youguys: the Turkey Feast. 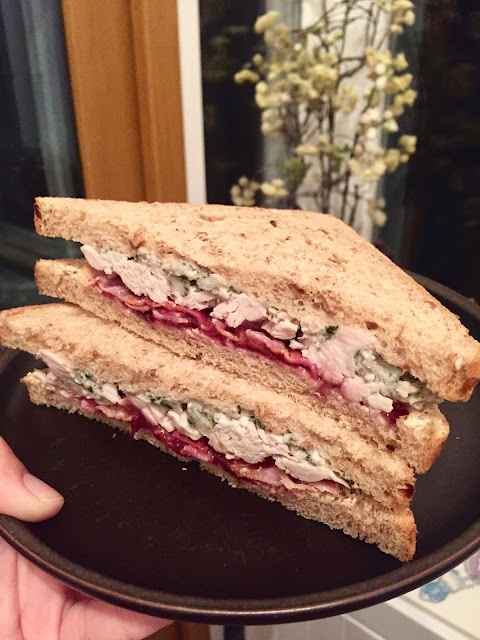 According to the box, this contains 'roast British turkey breast with pork, sage and onion stuffing, cranberry chutney, smoked British bacon and mayonnaise on malted brown bread.' BECAUSE THEY CAN. And you thought it'd look obscene. And then I did it: I took my first, hesitant bite. AND HOLY COW. YOUGUYS. WHY DO WE EAT CHRISTMAS DINNER IN ANY OTHER FORM. This is a holiday party in my mouth! Now, to be fair, this is my first Christmas Sandwich so I have no bar to set this against, but I would rate this sandwich is a 10/10, would eat again. Hannah also pointed out that when you buy one, they give 'donations to charity' or something, so that means you can eat as many as you want and it's guilt-free. Eating these is basically SOCIAL WORK. For the sake of humanity, I will have to eat more. And then, because the afternoon continued to win, we ran into our friend Doreen and shared a round of tea. 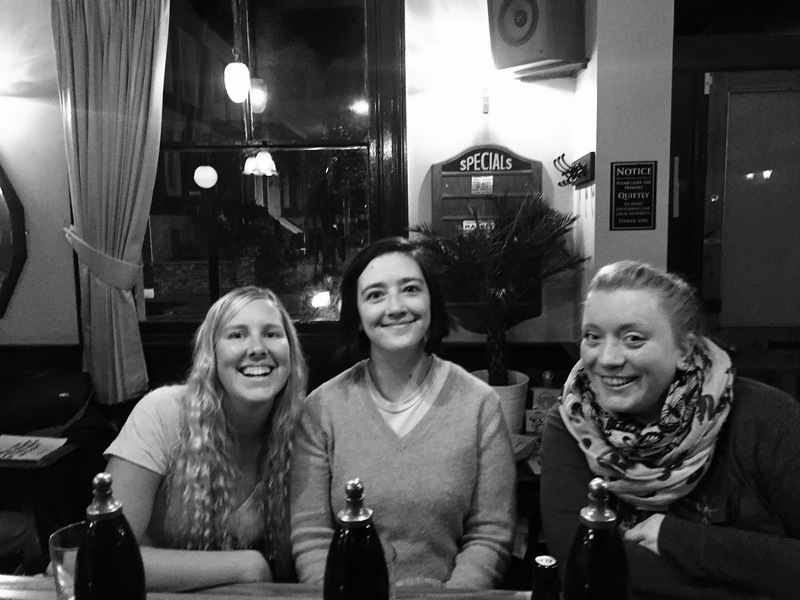 ** Who can beat the joys of East London?? Now if you'll excuse me, I'm off to watch Good Wife - I mean, enjoy a fine novel - and inhale the rest of my bread-encased Christmas dinner! Happy Thursday, all! **It's all I drink, Grampa. How about a Christmas dinner burrito ... Just take a second to digest that in your mind! HAHA! That sounds even BETTER!